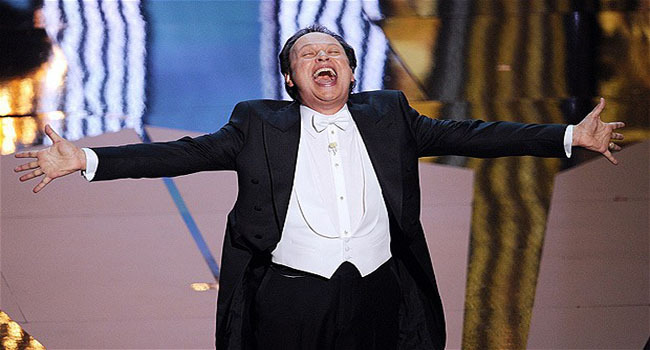 Don't be surprised if Billy Crystal returns to host his 10th Oscars telecast. From there, my picks were as bad as those by a first grader digging out a booger from his nose. As you may have seen, this year’s Oscars did not do well. The overall television audience declined by 16% and what that means is that there will be tremendous pressure on the next host. I don’t fault Neil Patrick Harris completely for the drop because this year’s nominees, especially for best picture and best director, were not huge names or major draws at the box office. The exception was ‘American Sniper’ which has collected over $300 million. Still Harris was not always as entertaining as I’ve seen him when hosting other award shows. So will he return? I don’t think so and neither does Vegas. Our friends at Bovada have supplied me with the odds on who will be next year’s Academy Awards host. Who will host the 88th Academy Awards? All three/four of the top favorites would, and in the case of DeGeneres, have made great hosts of the Oscars but the problem is that the show will once again be on ABC. Fallon, Fey and Pohler have their roots on NBC. TV execs at ABC would not want to give publicity to stars to a rival network. Jimmy Kimmel would be a fine host and would fit perfectly being an ABC employee. Kimmel really could be the front-runner for the exact reason I laid out above. He’s an ABC guy who knows the Hollywood game as well as anyone and he isn’t afraid to ruffle feathers of anyone. Although Colbert will be on CBS by the time the next Oscars airs, he could still be a strong contender because he tends to lean liberally which fits perfectly with the Hollywood crowd. The above four contenders all come in at 16/1 and frankly I don’t see any of them doing it. Kaling is well-liked but I don’t see her having enough draw and the same could be said for Myers. Murray would be interesting but it just doesn’t seem like something he would enjoy. Spacey is the most likely of the four. He’s extremely well-respected in Hollywood and is multi-faceted as an entertainer. Crystal is 66 years old but would be a huge hit as host. He has already hosted nine times and trails only the legendary Bob Hope. I think Key & Peele would be funny but I’m not sure they would fit what the Academy looks for in a host. Murphy was scheduled to host the 84th Awards but backed out and that likely eliminates him. Handler would be an absolute riot because she’s fearless but I also think she just doesn’t see herself doing this. I think Hart has some potential as a long-shot but I’m not sure he has other talents besides being funny and that typically is a pre-requisite. I see Ansari as I do Myers or Kaling; he’s got a nice following but he isn’t enough to make people want to watch. Oliver is another one of these guys who just goes for the laughs and doesn’t care how he gets them but I wonder if he could keep things clean. My Pick: Crystal. He won’t catch Hope’s record but he deserves a shot to get into double-figures.